The 3rd International Chess Festival AcquiScacchi 2014 was held on 6-13th July at the Hotel Nuove Terme in Acqui Terme, Italy. The Festival consisted of three events: Open A for players rated over 1800, Open B for players rated U1900, and Open C for U16 Juniors. 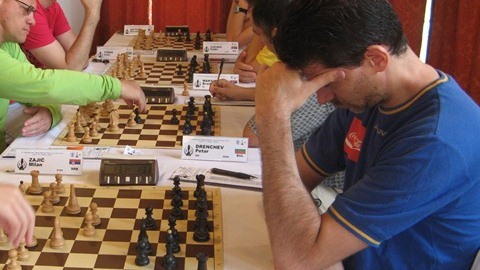 The main Open A had 46 participants from eight countries, including five Grandmasters. Spanish GM Salvador G. Del Rio De Angelis took a clear first place with 7,5/9 points to earn the top prize of 800 EUR.